Sarah Palin is battling online controversy once again after posting photos of her 6-year-old son standing on the family's dog's back. 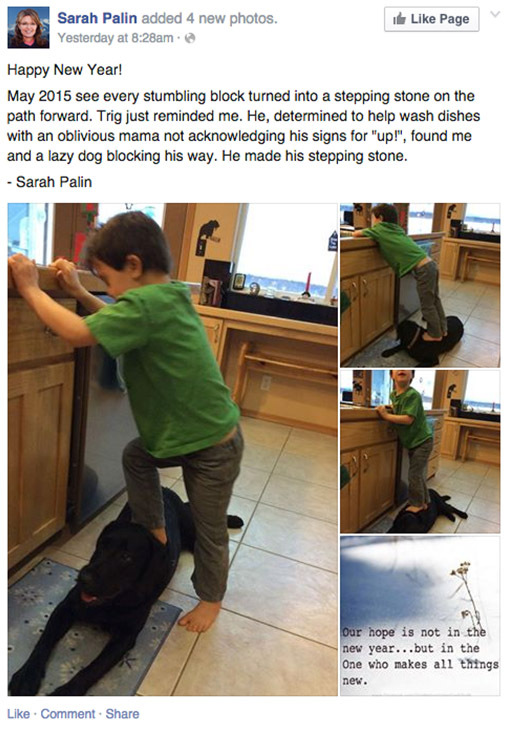 In the photos, Trig Palin, 6, -- who has been previously diagnosed with Down syndrome -- was standing on top of the dog's back, using the animal as a stepping stone as he washed dishes. The online response from the photos was overwhelmingly negative, even from Palin fans. "You have no respect or compassion for animals. I have been a veterinary technician for over 20 years, do you realize how painful that is for your dog?," wrote Gail R.D. in the Facebook comments. Palin had intended for the post to be inspirational, likening her son's action as overcoming a life obstacle, writing "May 2015 see every stumbling block turned into a stepping stone on the path forward" on the Facebook post. "As a dog trainer...this is a worst case scenario. Hundreds of children end up in the hospital each year by doing just this. Sadly most of the dogs that react are euthanized. Most irresponsible of all? Stand back and take pictures," wrote Polly C.
Yet some fans did came to Palin's defense, believing the dog seemed perfectly fine. "If the dog was being hurt it would have moved, snapped at him, or at least wouldn't have been perfectly still posing for the picture," wrote Jobe M.
Still, however, heated debate continues online regarding whether this was an unwitting act of animal cruelty, and if Palin showed poor judgement. 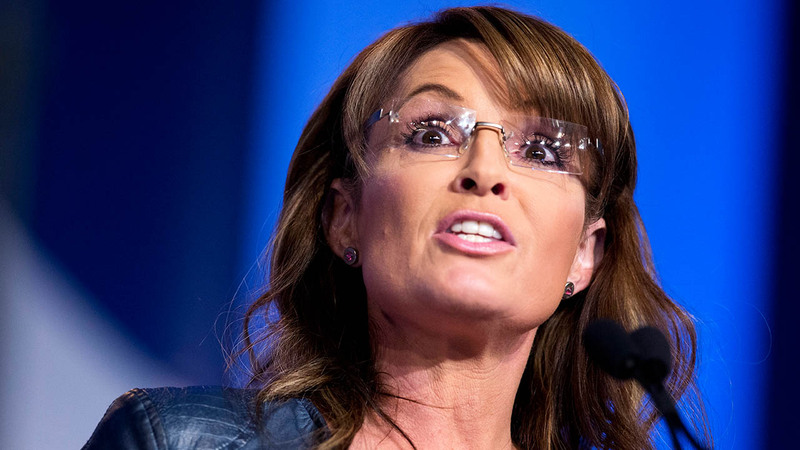 In a statement to POLITICO, animal rights group PETA also denounced Palin for the photos. "It's odd that anyone - let alone a mother - would find it appropriate to post such a thing, with no apparent sympathy for the dog in the photo," said PETA President Ingrid Newkirk.